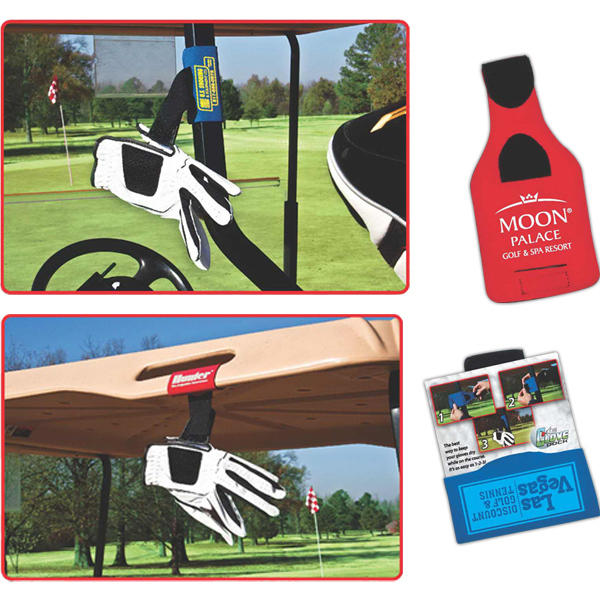 Looking for an unusual way to market to golfers? The glove dock is a neoprene holder that attaches to a belt or golf cart and has a place to attach golf gloves. Know where your gloves are with this handy item. A great way to dry out your gloves between holes. Navy, red, black or royal blue. Imprint area is 1-3/4″ x 2-1/2″. Min is 50 at 3.32 ea, 100 at 2.49 ea, 300 at 2.29 ea, 500 at 2.14 ea, 1000 at 1.99 ea. $40.00 set up. Item number C175.